If you suffer from bouts of acne, then we know what you are going through, both in terms of dealing with the acne and the scars long after the acne is gone. Before you can even let out a sigh of relief about the acne subsiding, you are left worrying about the marks that it leaves behind. Adding to your woes is pigmentation and dark spots from sun exposure and aging. The days of worrying about these problems are numbered now since we tell you how to fade post acne red marks, dark spots and pigmentation on your skin with effective remedies. What are Post Acne Scars and marks? Acne scars are marks left behind on the skin after the acne or pimple has gone from the skin. Scars are those that cause a change in the smoothness and the texture of the skin. There can be scars that are raised and rubbery, coming above the surface of the inflamed skin and are called keloids. Some scars called ice pick scars are small holes on the skin surface, looking like punctures. Acne marks on the other hand do not cause any change to the skin texture. They do cause pigmentation and leave behind a reddish or a purple mark at the site of inflammation. How to prevent post acne marks? The first thing as most people recommend is to refrain from picking your acne or pimples, in order to prevent them from leaving behind a mark. Make sure to get into a ritual of scrubbing the skin and ensuring proper sun protection in order to help fade away the marks after the acne has subsided. Despite all the precautions you take, there are chances that the acne leaves marks. We tell you how to deal with them here. Chemical Peels and Exfoliators – Exfoliation helps you get rid of old and dead skin and causes new skin cells to replace them. You can read more about exfoliation of acne prone skin here. You may use manual exfoliators like scrubs with granules or face brushes like Clarisonic to slough off dead cells from the skin surface. Another option is superficial or medium chemical peels.They work deep into the skin and do not cause the kind of irritation that manual scrubs do. They cause controlled damage to the first or the second layer of the skin, leading to growth of new skin cells to replace the damaged cells. The new skin layer will be devoid of any acne marks or pigmentation. Glycolic acid peel is the safest bet for this purpose. Sun Protection – An important ritual in dealing with pigmentation and dark spots is to prevent further damage from the sun. For this, make sure to apply sunscreen before you step out in the sun. When you protect your skin from the damage done by UV rays, you are also speeding up the recovery from the dark spots and pigmentation. Lightening Treatments – A quick remedy for dark spots and pigmentation is the use of lightening agents on the skin. 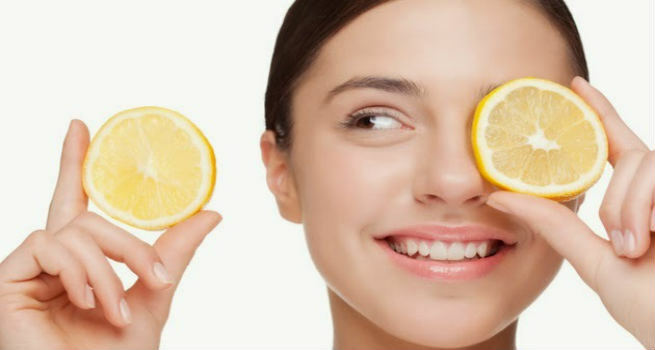 Kojic acid, licorice extract and vitamin C all act as skin lighteners. 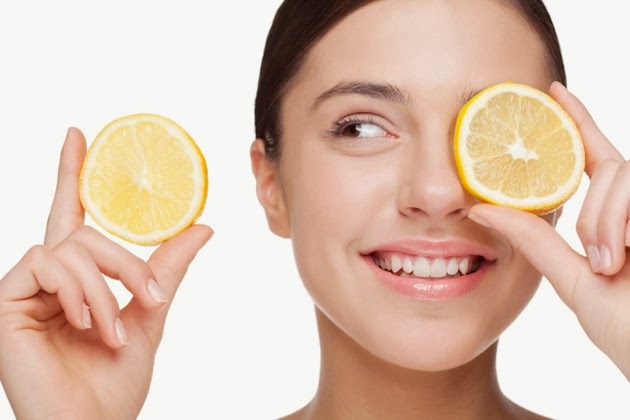 The easiest way to try it is to rub a slice of lemon on your skin. Not only does it control the sebum production in the skin, it also gets rid of any dark spots and pigmentation over time. Hydroquinone is another option as it bleaches the skin but it should be used with caution since it can burn the skin if the concentration is strong. How to prevent post acne scars? Again, do not pick on the scars. Also, keep your skin clean and oil-free when you have an acne attack. This will prevent further occurrence of acne. Use a salicylic acid based face wash that will control sebum production and topically apply tea tree oil on the acne to prevent further spread of the acne causing bacteria. Topical Treatments – There are many topical treatments that can be used to treat both acne scars and dark spots. Topical creams like mederma help in reducing the extent of the acne scar on the skin. You could even try creams like Retin-A which improve cell turnover. This will help in renewal of the cells on the skin surface which will replace the older affected skin. Surgical Help – If your acne scars are very severe, then you might have to go in for a scar revision surgery or a laser treatment after consulting with a dermatologist. There is no overnight remedy to fade post acne red marks, dark spots and pigmentation. Develop a regimen of scrubbing your skin well regularly and using topical treatments. Do not forget the sunscreen and wait it out patiently for the marks to fade. It takes 4-5 months for the marks and scars to even out. Until they do, you always have your concealer for rescue!